Fun Fact: The restaurant was inducted into the Route 66 Hall of Fame. Menu Highlight: Their fried chicken was chosen as the best fried chicken in Chicagoland by Pat Bruno of the Chicago Sun-Times in 1993. The Chicken Basket, as it is today, opened in the summer of 1946 on Historic Illinois Route 66. Because of the amount of traffic and distance from Chicago, the Chicken Basket was the perfect stopping place going to or coming from Chicago. 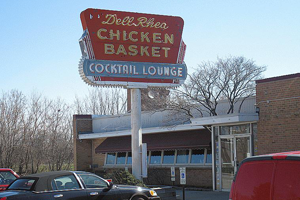 Dell Rhea’s Chicken Basket has been in countless Route 66 documentaries and travel books on Route 66 and has visitors from around the world on a regular basis! Fun Fact: Brothers Guido and Albert Zeller started the business, and today it is run by Guido’s 2 sons, Marcus and Richard. Menu Highlight: The specialty is Avanti’s Famous Gondola which is ham, salami, American cheese and lettuce on their own Italian bread. 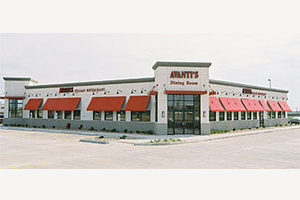 Avanti’s Italian Restaurant was established in Normal, Illinois in June of 1971. Originally, the restaurant was jointly owned and managed by two brothers, Guido and Albert Zeller. In 1973, Guido bought out his brother and ran the operation as the sole proprietor until he passed away in 2002. Guido’s brother Leo joined the operation in 1976 and was an integral part of the business along the way. Today, Guido’s two sons, Marcus and Richard are involved in the ownership and management of the business. 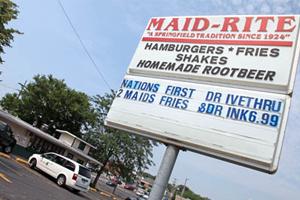 In June of 2009, Marcus and Richard opened a second Bloomington-Normal location at 3302 East Empire in Bloomington, Illinois. Albert now owns five Avanti’s Italian Restaurants in Peoria/East Peoria/Pekin, Illinois. Serving Customers for Over 88 Years! Discover this global sensation that leaves you wanting more. 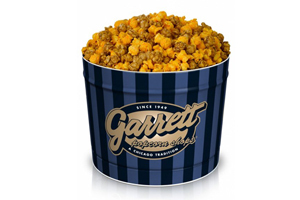 For over 65 years, Garrett Popcorn Shops® has attracted passionate fans around the world with the enticing aroma and delicious taste of our handcrafted Popcorn. Like no other, Garrett Popcorn. At Garrett Popcorn Shops®, we’ve maintained our dedication to fresh, delicious Popcorn since we first opened at 10 West Madison Street in Chicago. We continue to use only the highest quality ingredients from local producers as we handcraft our gourmet Popcorn in old-fashioned copper kettles. We strive to deliver the same Popcorn today that customers first talked about in 1949.